This was our 14th Anniversary Image. 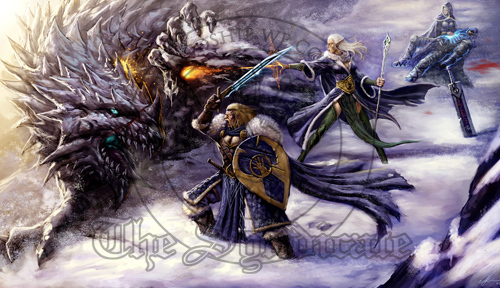 It shows a group of Syndicate members caught in a blizzard battling a large beast. An injured Syndicate member is being healed in the background while the mage and warrior carry on the attack.